If Finland is the land of the thousand lakes, then Inari Lake is the lake of the thousand islands. Lake Inari is an important place for a lot of people in the North. The size of the lake is likely a contributor to its standing. It is for one, central in countless jokes from the area. On this occasion we’ll blog about its religious importance. We had just spoken to Mr. Markku Stylman about the shaman drums at the Sámi Museum Siida. 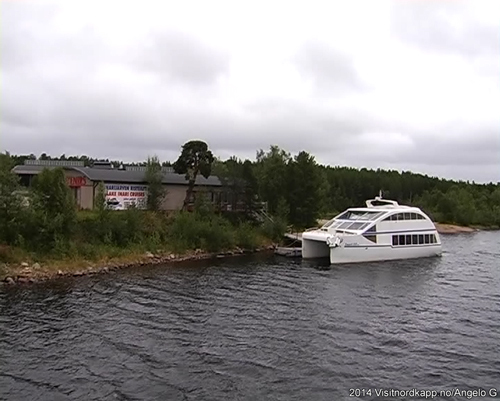 The last scheduled departure for the cruise on Lake Inari was on the line for the day. 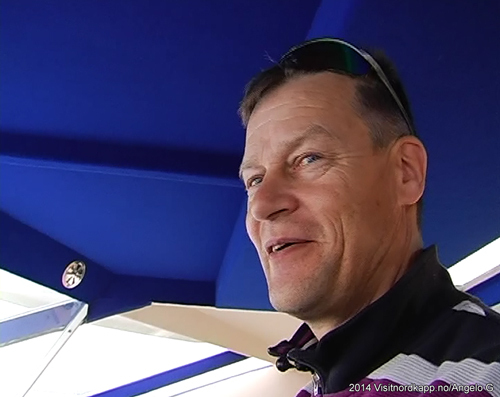 Angelo and I, bid our goodbyes, picked up our film gear, and rushed to the catamaran that was casting off. 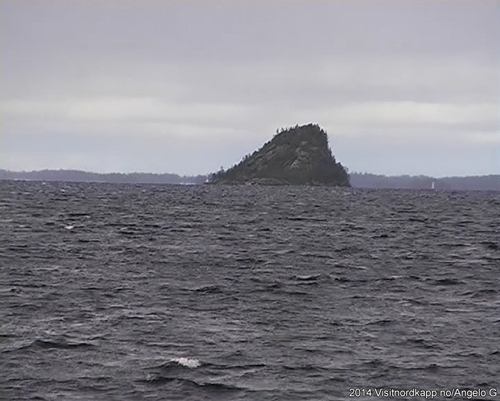 The destination for this two – three hour cruise was Ukonkivi, the Ukko Island. The sacred places, the seidas, of the old Saami religion were used to make sacrifices to the spirits. It was the place people sacrificed reindeer meat, fish, jewelry and other things. It would bring better luck in life, better hunting, fishing, relationships and more. Distinguishable sites would often be used as a seidas. Rocks of special size and form were favorite places of worship. The Ukko Island is such a place. 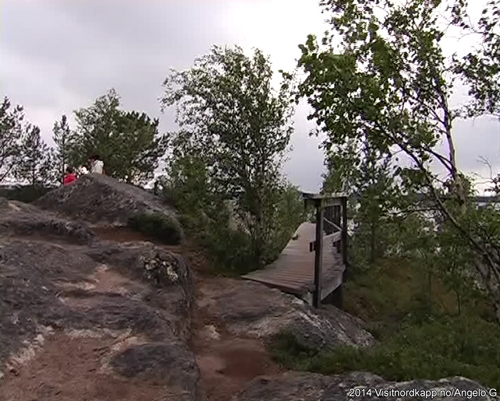 Like a rock Ukko sits 11 km northeast from the Inari village. The shape of this 50 meters wide and 100 meters long island is strikingly different from the other islands in the lake. On the horizon it has a patent silhouette, because it rises 30 meters above lake level. The word Ukko is in this part of the world the mythological name for the god in the sky. Ukko was one of the most important gods. 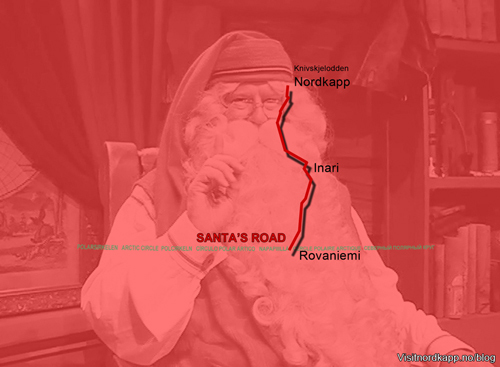 Another name used for Ukko has been Perkele. Perkele, has been used as I recall, as a word for swearing in Northern Norway. Throughout time, people along with their bad words have been migrating west – east above the Arctic Circle. The swearing traditions of the north are fierce. And the words used have often been related to religion. 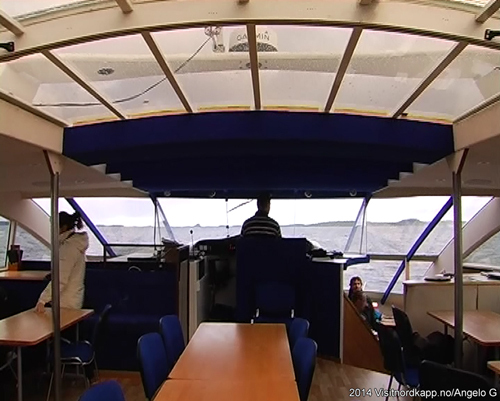 The island has a landing dock and the electrical powered catamaran made a 20 minute stop at the island. All the passengers stepped off and ascended to the top of the island. From the top there was a pinnacle view of the lake. 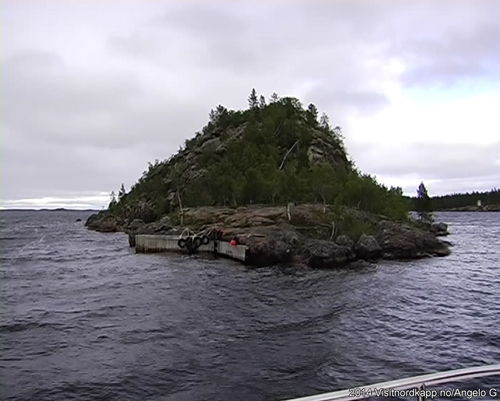 There are thousands of islands in the Inari Lake. On some of them people have small weekend cabins. Not far from Ukko, there is also an old Saami cemetery. An island we would gently pass by when we continued our cruise. 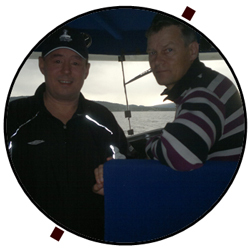 The cruise was captained by Mr. Tapani Lappalainen, owner of the business. While having a coffee and a small sandwich, I listened to the intercom system. In intervals it talked about the island and the lake in English and German. It is a big lake. To walk around it, including every bay, you would need a few months. The shoreline is 3 300 km. There are 3 318 islands on the lake. 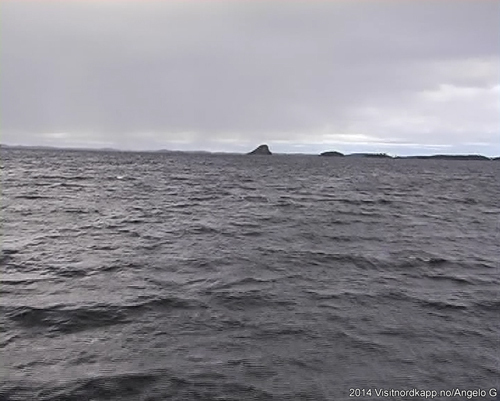 Tapani added that 10 000 years ago the lake was part of the Arctic Ocean. But as the thousands of meters of heavy ice covering the area had melted, the land started to rise. And this part of the ocean was separated from the ocean. The “ice age” returns for 7 months every year. Then you can travel to the Ukko Island with snowmobiles. At its thickest, the ice can be more than one meter deep. It was time to return to Inari. It had been a sacrificing long day. We were hungry for a better dinner, and the restaurant at Hotel Inari was calling. After all, it has the Ukko Island in its logo.